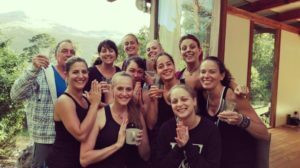 We work from an intimate small studio and only accept a small group of students believing that this enables a higher standard of Yoga Teacher Training and individual attention to each student. Despite having the highest qualifications of any yoga studio in the country, we try to keep the cost of training down as much possible, to enable more people to learn about yoga. We offer student and unemployed discounts, scholarships and payment plans. A deposit of GBP 500 secures your place. CERTIFICATION: 200 HR YOGA TEACHER TRAINING APPROVED BY THE YOGA ALLIANCE. Upon completion of the course you will be able to register as a yoga teacher with the Yoga Alliance (US). You will develop and deepen your practice, and begin to understand how to do many poses safely and well. You will be able to demonstrate all postures to intermediate level, and advanced postures determined by you as an individual. You are not required to be an intermediate or advanced at yoga, nor fit or flexible, we will help you to explore the right level of yoga for you. You will develop extensive skills specific to yoga – you will understand the anatomy of poses as well as alignment, injury/weakness modifications and prop use. You will understand a minimum of 100 poses in depth and be able to teach those poses to all individuals, of various levels of yoga, regardless of fitness and injury restrictions. We believe yoga is for everyone. We teach Alignment based Vinyasa Flow with an emphasis on instruction to help you and your students explore many poses. BUT we love all Yoga styles. We teach Intelligent Pirate Yoga – Vinyasa but we borrow from all types of yoga. If it works intelligently we will use it in our sequencing in class. You will be taught a wide range of yoga styles: Ashtanga; Vinyasa Flow; Alignment based Flow; Kids Yoga; Pregnancy Yoga, Yoga for Sports, and an overview of other styles including Iyengar, Bikram and Forest. TEACHING SKILLS: SEQUENCING a class. 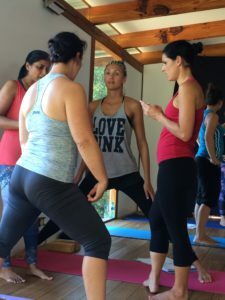 This is what the Wellness Connection Yoga is all about – sequencing for yoga. You learn to sequence a class, learning how to choose the preparatory poses to help open and strengthen for the final pose. Students will sequence and teach classes of differing yoga abilities. YOGA PHILOSOPHY in daily life – you will be guided to an accessible understanding of yoga philosophy, how to simplify complex concepts and how to use yoga philosophy in your daily life and in your classes. 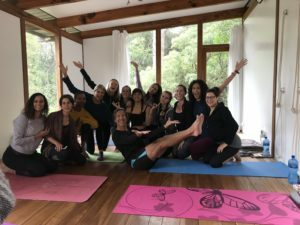 YOGA and PSYCHOLOGY We will explore psychological aspects of the TEACHING yoga as well as the personal psychology of you, the practitioner and the teacher. The aim is for you as the student to develop a clear, comfortable and accessible teaching style working within the framework of ‘you’. We we will explore mindfulness tools to be used either by yourself or as a teacher. Breath work, focus work, restorative yoga, chair yoga, propped yoga will be practiced.